CREA’s June numbers from 2012 revealed that there were 4.4 per cent fewer homes sold compared to 2011, with average home prices dipping 0.8 per cent during the same comparison period. The Toronto condo market took a direct hit, according to Shaun Hildebrand, a senior vice president of Urbanation and former market analyst with CMHC, as first-time homebuyers flocked to the condo market instead of buying, pushing average rents in the GTA to a record $1,856. “For the first time in a long time, we’re seeing rent levels grow stronger than resale and new condo prices,” Hildebrand said. Numbers from Urbanation – a leading condo analysis firm – show that new condominium sales were down 55 per cent for the first quarter of this year, compared to 2012. Paolo Di Petta, a mortgage broker with EQRON Mortgage Corporation, has seen lenders back off on some deals over the past year. Flaherty’s move to tighten amortization rules was the finale of a continuing campaign to cool the housing market, as Ottawa acted three times to rein in the maximum mortgage term after the CMHC briefly started insuring mortgages with 40-year terms in 2006. 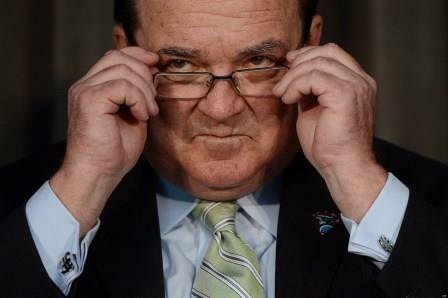 Flaherty brought the amortization limit down to 35 years, then 30, and now where it sits at 25 years. Other rule changes included a cap on the maximum gross debt service ratio at 39 per cent, and the maximum total debt service ratio at 44 per cent for those looking to get CMHC insurance. Refinancing restrictions have made once simple deals undoable today, says Butler. In addition, Flaherty limited CMHC insurance to homes priced less than $1 million. Economists agree that GTA housing prices have leveled out, while Vancouver prices are down an average of 5 per cent, with the average Canadian housing price expected to drop only 2 or 3 per cent in the coming year. For Di Petta, the tightening of the market has meant his services as a mortgage broker have placed him in higher demand. I've been in this business for 33 yrs either as a banker or broker..this is the worst irresponsiblity I've seen with CMHC..they don't understand what being cautious means anyway the Fed's should stop agian and think credit card debt is where we need controls . A $50m visa acct at 19.9% unsecured or a secured mortgage of $200m at 3.5%.. where do we think the problems could arise? Mortgage brokers have this idea that the lenders should change their policies to suit the needs of the borrower and the broker. They try to justify the argument saying that it is unfair to consumers, etc. Give it a rest. It is the lenders money, not yours – you want to make the rules – open your wallet. The old saying applies – the guy who is lending the money gets to decide who can borrow it. Who do you think you are fooling Mr. Broker? We ALL know that the only reason why you do not like the rule changes is because it means that there is less money for YOU. 5 year amortization change should not break a deal, if it does – then guess what – they can NOT afford that house! So they have two options – buy within their means, wait and save some more money, pay down your other debt, or get a job that pays you more. The same applies to debt service ratios. This is how it has been done since the advent of home ownership – if you do not like it – then change industries. OH and stop churning your books and enticing borrowers to refinance every time there is a blip in rate. You are NOT doing it for your customers, you are doing it to get more deals done and to make more money. I have seen several pieces of marketing of late from a lot of brokers (including ones on here that profess to be looking out for their clients interests only) that promote refinancing NOW before rates go up to lock in the lower rate – even if you have as much as 3.5 years remaining on your term. So extend the term by 1.5 years, pay a penalty, etc? If you think that is being a professional advisor you need to get your head out of the sand.